Clare Medical Centre is located in the heart of the Clare Valley, South Australia, a 2 hour drive north of Adelaide surrounded by rich agricultural and viticultural landscapes, and is renowned for its prize-winning wines. 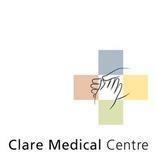 With 14 doctors, the Clare Medical Centre is also a training centre for Medical Students and Registrars and together we are able to assist and care for more than 10,000 people of all ages from Clare and surrounding regional towns. There are also 20 Visiting Specialists who consult throughout the year. Our Doctors specialise in a vast range of areas including Anaesthetics, Obstetrics, Paediatrics, Pain Management, Mental Health, Chronic Disease and many more.